I must admit, I thought this book would be hard to read, the kind of literature you use to help you fall asleep at night. I mean, how much can you write about roots? Robert Kourik proves you can write an entire book—not only write, but also make it fascinating. This book is a revelation about what goes on down under. The soil is not just dirt, but also an ecosystem with thriving communities of creatures that hobnob with the roots of plants. Kourik takes us through a fascinating journey of the real underworld, a secret life that most humans do not understand. 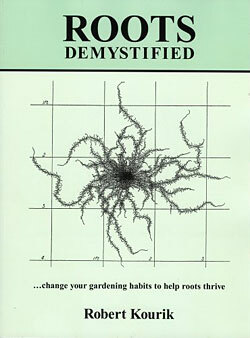 For those of us that garden organically, this book reveals why it is important to take care of the soil, including the roots that sustain our garden plants. 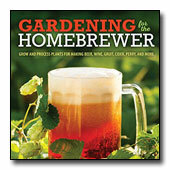 Kourik also gives us a few alternative methods for growing edibles, explains mulches, and offers many practical tips to help each of us garden better. The most current information about plant roots is the heart of this book, explained in a humorous and clever manner, while providing much needed insights into the world beneath our feet.